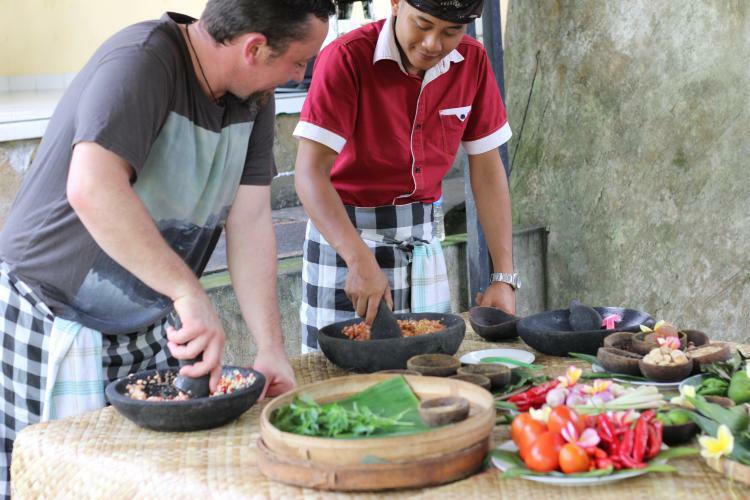 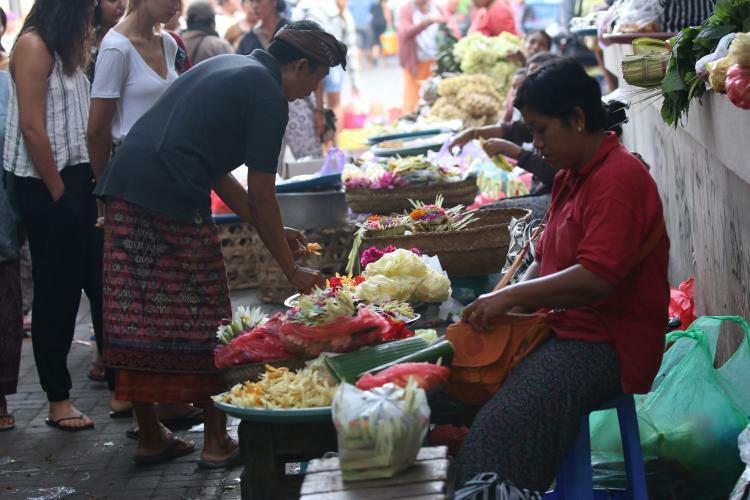 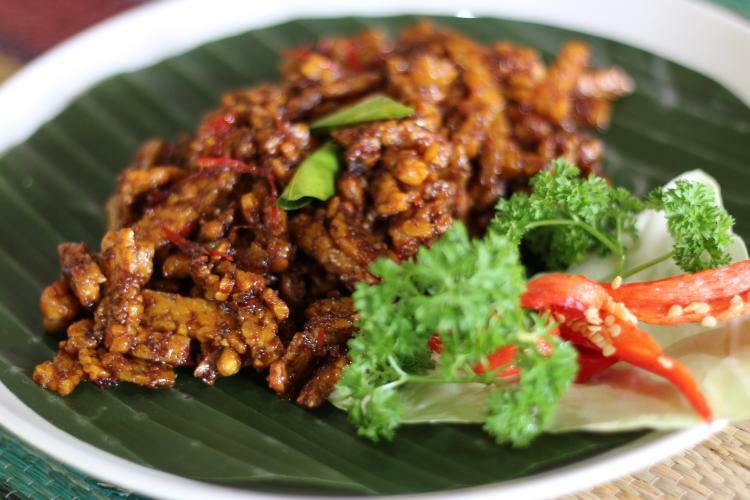 Learn the secrets of Balinese cuisine hands-On at Periuk Bali Cooking Class Ubud. 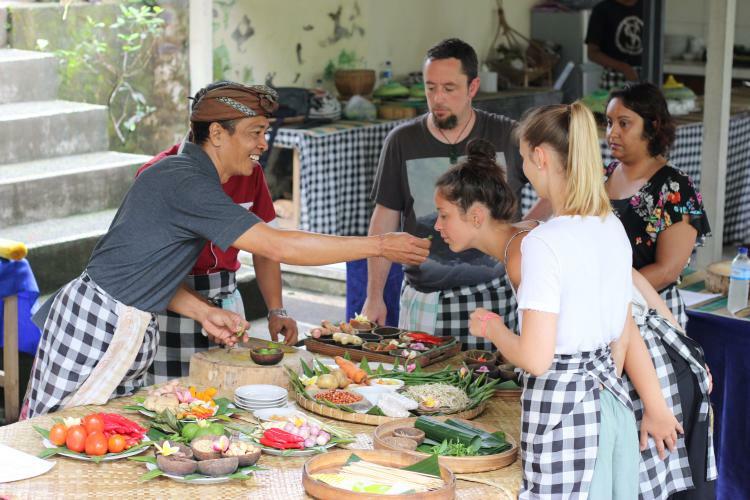 You now have the opportunity to complete your amazing experience of the Bali by joining our cooking class. 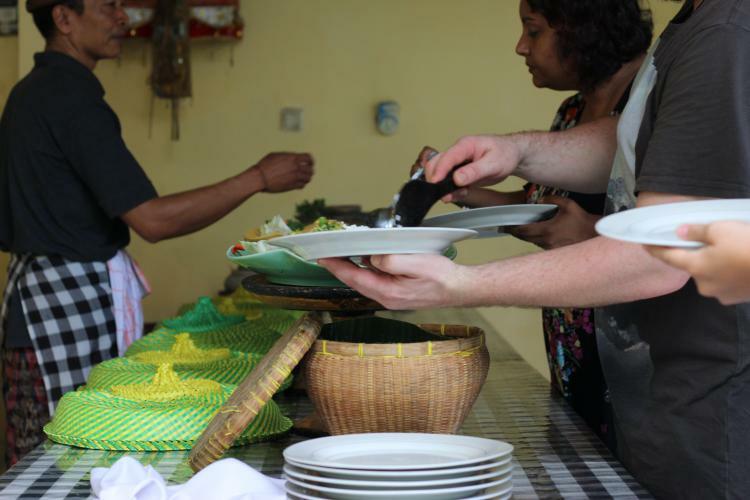 Our traditional kitchen and the restaurant lies on the Petanu River bank which provides you with soothing resonance and a good atmosphere. 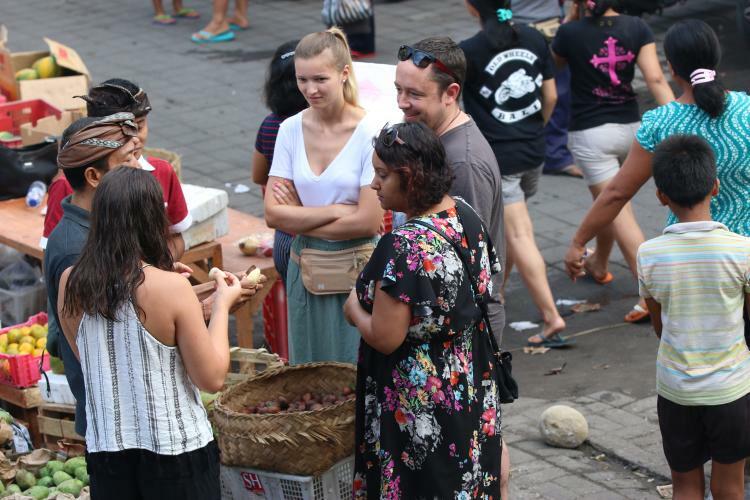 Visit traditional market to see the daily activity in selecting local fruits, vegetables and spices that used for cooking, visit paddy fields. 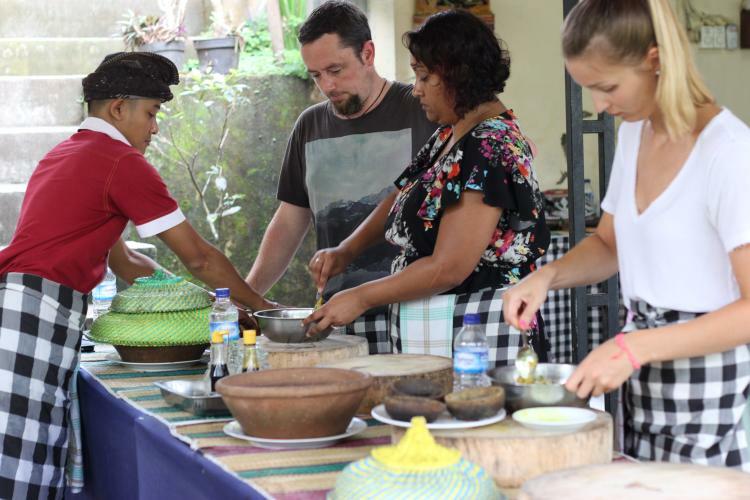 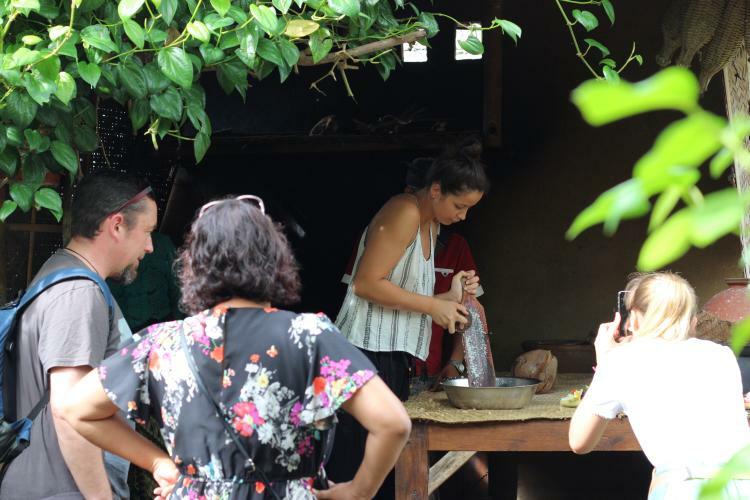 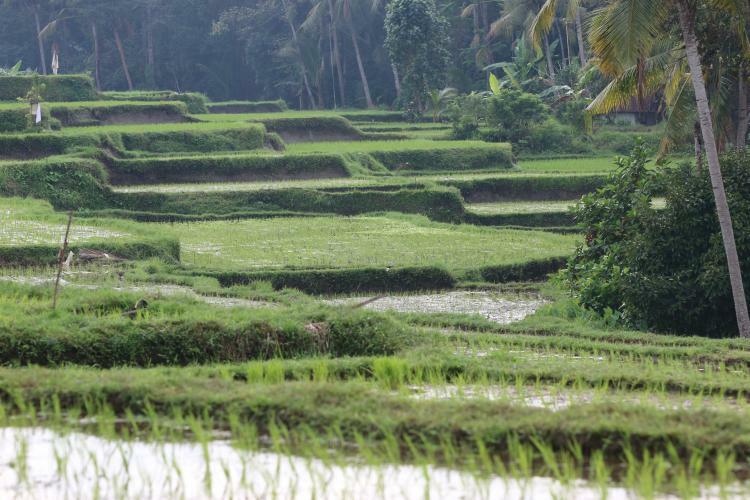 Learn about Balinese traditional irrigation system called “Subak”, make Canang Sari a Balinese offering for the Gods, make coconut oil traditionally, Learn how to cook Balinese signature dishes through hands-on, then enjoying the foods you made.